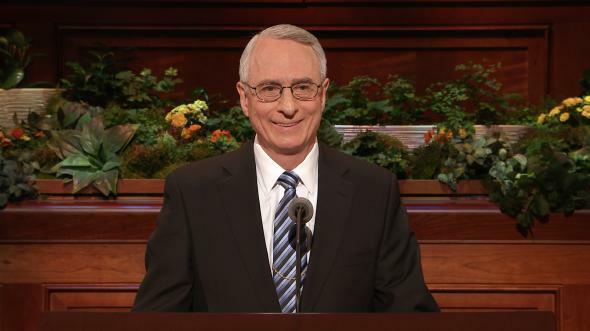 You wonderful, righteous members of this church constantly inspire and motivate me. Thank you for your zest for life, your generous giving of self, your devotion, and your determination to live worthily. I also express gratitude to our many friends who have joined us through these conference sessions. May the messages given bless your lives. 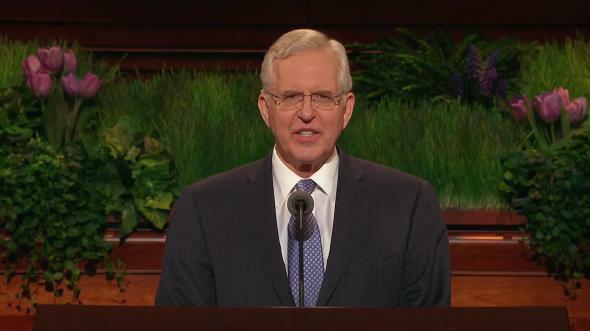 Recently in South America a youth inquired, “Can you give us suggestions that will help us know the Savior better and be able to constantly follow His example?” That meaningful question and others like it have prompted this message on acquiring spiritual knowledge. 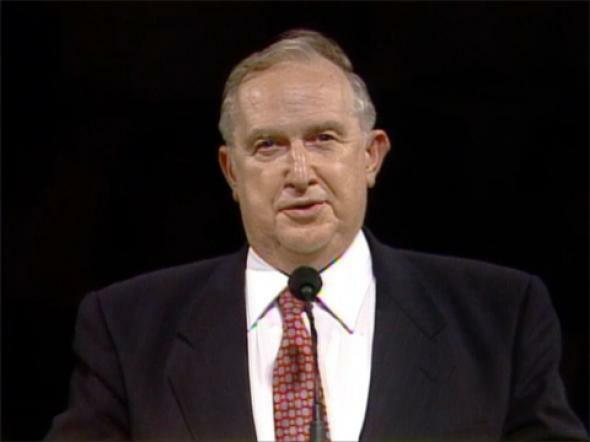 “You must … see that … searching the scriptures is not a burden laid upon [us] by the Lord, but a marvelous blessing and opportunity” (Ensign, Nov. 1986, p. 47). “Spiritual learning takes precedence. The secular without the foundation of the spiritual is … like the foam upon the milk, the fleeting shadow. … One need not choose between the two … for there is opportunity to get both simultaneously” (The Teachings of Spencer W. Kimball, ed. Edward L. Kimball, Salt Lake City: Bookcraft, 1982, p. 390). In humility, seek divine light. Exercise faith in Jesus Christ. As spiritual knowledge unfolds, it must be understood, valued, obeyed, remembered, and expanded. 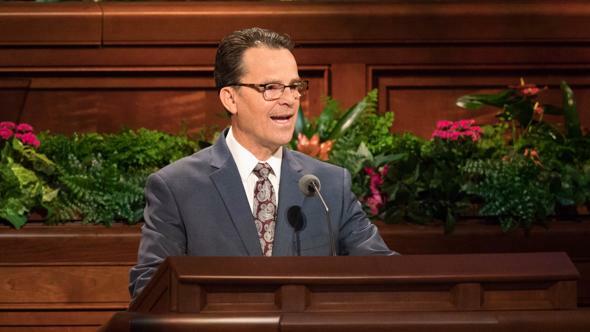 “From my boyhood I have desired to learn the principles of the gospel in such a way … that it would matter not to me who might fall from the truth, … my foundation would be … certain in the truths … I have learned” (Gospel Doctrine, Salt Lake City: Deseret Book Co., 1939, pp. 3–4). 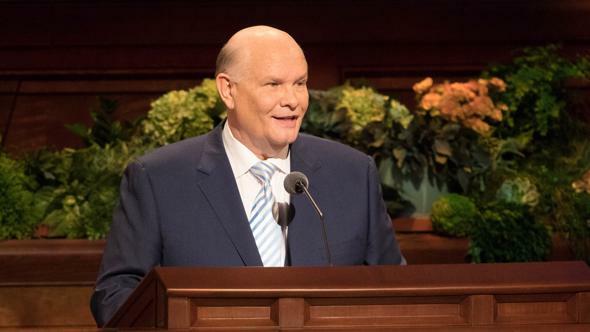 Like President Smith, you and I need that kind of secure anchor to keep our life centered in righteousness and to avoid being swept away by the ruthless waves of worldliness. The following scriptures teach why we should seek divine light. “Thy word is a lamp unto my feet, and a light unto my path” (Ps. 119:105; emphasis added). “I, the Lord, … will be a light unto them forever, that hear my words” (2 Ne. 10:14; emphasis added). “And … by this shall you know, all things whatsoever you desire of me, which are pertaining unto things of righteousness, in faith believing in me that you shall receive” (D&C 11:11–14; emphasis added). Analogies with physical light help us understand the power of spiritual light. A bulb ignited in a dark room overpowers darkness. Yet if the darkness is too intense, it can overpower light, as with a bulb plunged into a bucket of black ink. Spiritual light overcomes the darkness of ignorance and disbelief. When transgression severely clouds a life, the focused spiritual truths of repentance cut the blackness as a laser penetrates the darkest ink. “But the natural man receiveth not the things of the Spirit of God: for they are foolishness unto him: neither can he know them, because they are spiritually discerned” (1 Cor. 2:11, 14). 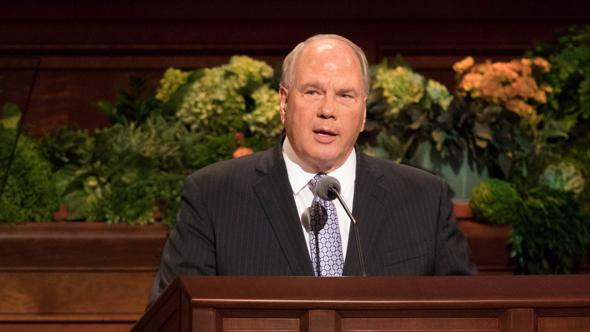 Brigham Young learned truth by carefully listening to Joseph Smith and striving to understand everything that was taught by word, example, or the Spirit. The resulting tutoring has blessed generations. It conditioned Brigham Young to learn additional truths and to share far more than he had received personally from Joseph Smith. Follow his example. 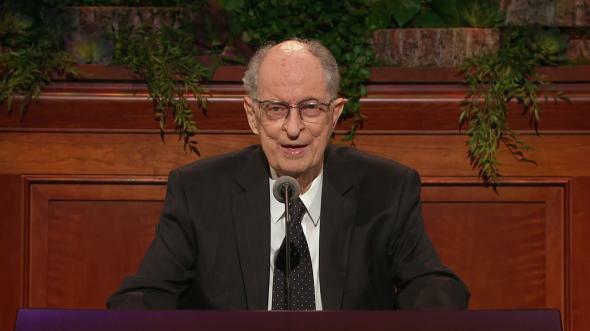 “I now give unto you a commandment … to give diligent heed to the words of eternal life. “For the word of the Lord is truth, and whatsoever is truth is light, and whatsoever is light is Spirit, even the Spirit of Jesus Christ. “And the Spirit giveth light to every man that cometh into the world; and the Spirit enlighteneth every man through the world, that hearkeneth to the voice of the Spirit. “And every one that hearkeneth to the voice of the Spirit cometh unto … the Father” (D&C 84:43–47; emphasis added). “Now the Lord would give us gifts. He will quicken our minds. 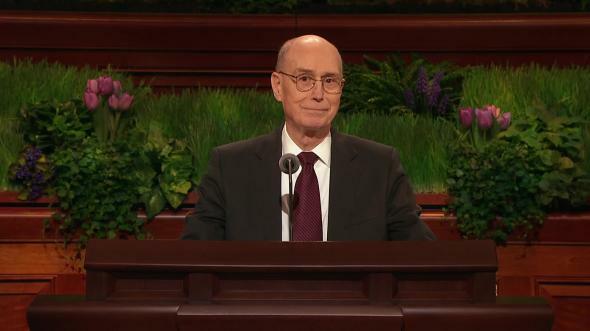 He will give us … a knowledge that will be so deeply rooted in our souls that [it] … can never be rooted out, if we will just seek for the light … and the understanding which is promised to us, and which we can receive if we will only be true and faithful to every covenant and obligation pertaining to the gospel of Jesus Christ” (in Conference Report, Oct. 1958, p. 22). 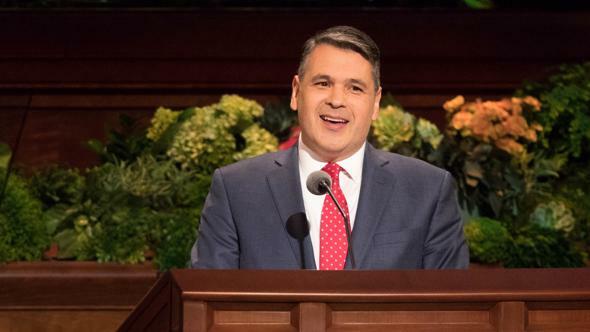 “Today we are troubled by evil-designing persons who [endeavor] … to destroy the testimonies of members of the Church, and many … are in danger because of lack of understanding and because they have not sought the guidance of the Spirit. … It is a commandment from the Lord that members … be diligent … and study … the fundamental truths of the gospel. 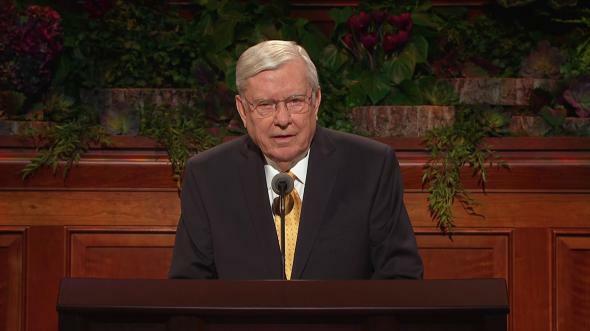 … Every baptized person [can] have an abiding testimony. … but [it] … will grow dim and eventually disappear [without] … study, obedience, and diligent seeking to know and understand the truth” (in Conference Report, Oct. 1963, p. 22). “The Savior’s blood, His atonement, will save us, but only after we have done all we can to save ourselves by keeping His commandments. 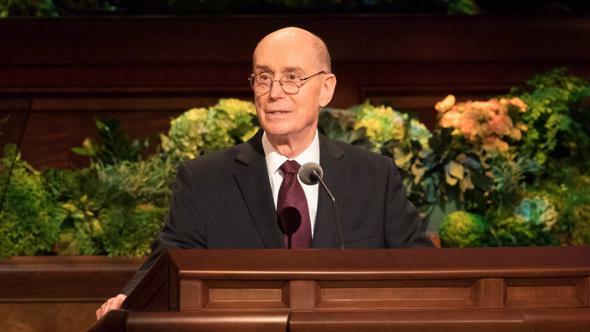 All of the principles of the gospel are principles of promise by which the plans of the Almighty are unfolded to us” (Ye Are the Light of the World, Salt Lake City: Deseret Book Co., 1974, p. 245). Understood. As each element of truth is encountered, you must carefully examine it in the light of prior knowledge to determine where it fits. Ponder it; inspect it inside out. Study it from every vantage point to discover hidden meaning. View it in perspective to confirm you have not jumped to false conclusions. Prayerful reflection yields further understanding. Such evaluation is particularly important when the truth comes as an impression of the Spirit. Valued. You show knowledge is valued by expressing appreciation for it, especially in heartfelt prayers of gratitude. The Lord said: “He who receiveth all things with thankfulness shall be made glorious; and the things of this earth shall be added unto him, even an hundred fold, yea, more” (D&C 78:19). Obeyed. Obedient application of truth is the surest way of making it eternally yours. The wise use of knowledge will permeate your life with its precious fruit. Remembered. Powerful spiritual direction in your life can be overcome or forced into the background unless you provide a way to retain it. Brigham Young declared, “If you love the truth you can remember it” (Discourses of Brigham Young, sel. John A. Widtsoe, Salt Lake City: Deseret Book Co., 1954, p. 10). Knowledge carefully recorded is knowledge available in time of need. Spiritually sensitive information should be kept in a sacred place that communicates to the Lord how you treasure it. That practice enhances the likelihood of your receiving further light. Expanded. This thought refers to rich benefits that come from your efforts to enlarge, extend, and increase your understanding of truth. Use the scriptures and the declarations of the prophets to expand your knowledge. You will find that efforts to share knowledge are often rewarded with more understanding as additional light flows into your mind and heart (see D&C 8:2–3). 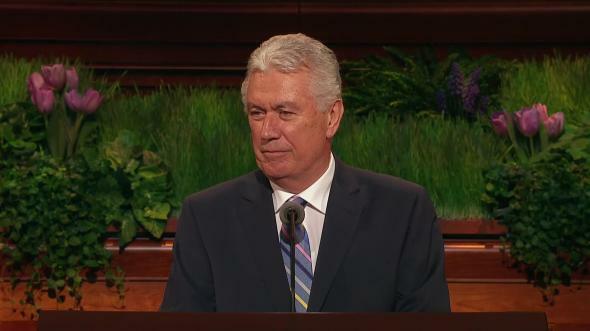 “While sitting here, I have made up my mind that when I go home from this conference this night there are many, many areas in my life that I can perfect. I have made a mental list of them, and I expect to go to work as soon as we get through with conference” (in Conference Report, Oct. 1975, p. 164). The privilege of learning absolute truth is sacred to me. I stand in awe that our Heavenly Father and His Beloved Son are willing, even anxious for us to learn from them. Please use what I have shared with sensitivity for the wondrous privilege given each of us, willing to obey, to be taught eternal truth. Gaining spiritual knowledge is not a mechanical process. It is a sacred privilege based upon spiritual law. I testify that you can receive inspired help. Humbly ask your Eternal Father. Seek divine light. Exercise faith in the Savior. Strive to hearken to His counsel and obey His commandments. He will bless and lead you as you move through this sometimes treacherous world. 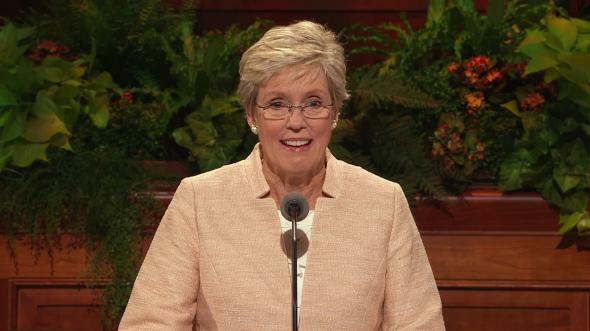 I solemnly testify that Jesus Christ guides this, His church. He knows and loves you personally. As you walk in faithful obedience, He will bless you, inspire you, and lead you to greater knowledge and capacity. I certify that He lives, in the name of Jesus Christ, amen.